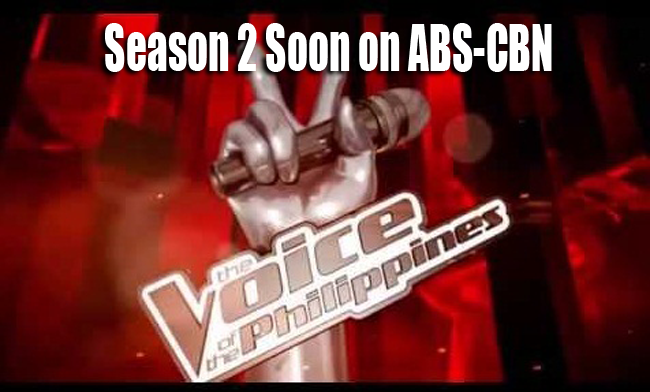 The Voice of the Philippines Season 2 will be back sooner than the avid viewers think. One of the most awaited reality singing competition in ABS-CBN, begun the Blind Auditions on Sunday. The network finally reveled that the four coaches will be complete this time. The contestants will have to try and catch at least one of the hearts of the coaches, apl.de.ap, Lea Salonga, Bamboo, and Sarah Geronimo in the Blind Auditions. Even Luis Manzano and Alex Gonzaga of The Voice Kids will also be returning to give more life to the show. According to the Kapamilya Network, Luis Mazano will be teamed up with Toni Gonzaga to be the main hosts. The ‘V Reporters’ would be the tandem of Alex Gonzaga and Robi Domingo. In the first season of the show, Mitoy Yonting of Team Lea had won the hearts of the Filipino’s and grabbed the winning title as ‘The Voice’. The Voice Kids was likewise viewed by many avid viewers as Lyca Gaironod bagged home the prizes and moved into her new house and lot. Lea Salonga even Twitted her excitement as the Blind Auditions kicked off. The season 2 on ground auditions was held all over the country last January to August. A twist called ‘Steal’ will be added in the show that would soon add color in the competition. The Voice of the Philippines will be shown in the last months of this year, but the exact date is still yet to be announced. Previously: The Voice of the Philippines Season 1 Episodes here.